I have 2 goals when cooking chicken breast for dinner, and this recipe meets them both. So my first goal is that the finished product be juicy, and not dry. There’s nothing worse than trying to choke down dry chicken. Indeed, this recipe calls for brining the chicken breast in a bag of water and spices, which locks moisture deep in the meat. I mention below to keep your grill closed while cooking, this also helps create a juicy piece of meat. My second goal is that the finished product be especially filled with rich flavor. Bland chicken ranks right up there with dry chicken on the list of things I’d rather not eat. 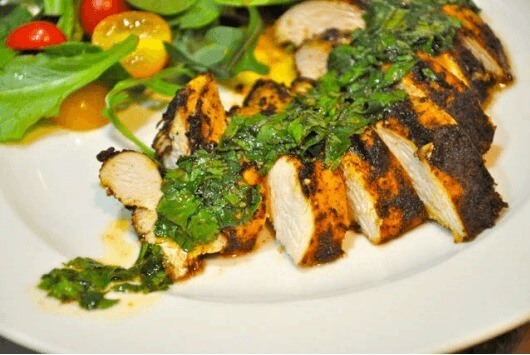 The spice rub in this recipe coats the chicken in savory flavor, and the Moroccan herb dressing adds another dimension. breasts. Place in the fridge for 2 full hours. 2. For the Spice Rub: Preheat your grill on high heat. Combine all of the spices in a small bowl then add the melted coconut oil together with the spices. 4. For the Dressing: In a small bowl combine all of the ingredients together then whisk until well combined. 5. Slice the cooked chicken breasts then top with a generous serving of dressing. We’ve all heard that snacking is great for the metabolism…but have you taken it too far? In other words, your excessive snacking may be killing your fat loss results. Let’s face it, there are only so many extra calories that the body can take before it adds those on as unwanted fat. Even if you’re eating perfectly healthy meals and putting in your time at the gym, if your snacking is out of control then your results will be disappointing. 1. Calories Count. Even when you’re snacking on “healthy” food, you’ve got to keep track of how many calories that you’re taking in. Almonds are healthy, but if you down 800 extra calories in them you’ll quickly gain weight. 2. Fill Up on Protein & Fat. A lot of well-meaning people are still afraid of fat. They think that if their snack is high in fat then it will end up on their body as fat. This is simply not true. Healthy fat, such as avocado or almonds, is a wonderful thing to snack on as it fills you up and keeps you full longer. 3. Avoid Sugar Calories. Sugar is an awful thing to snack on when weight loss is your goal. 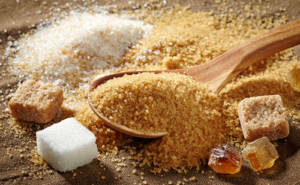 Refined sugar is a catalyst for fat storage, so avoid any snack that contains sugar. Remember that eating sugar will satiate your hunger for a very short period of time, and then you’ll quickly be hungry again. 4. Don’t Be Fooled By 100-Calorie Packs. A popular marketing technique is to package junk food into 100-calorie packs. These could be crackers, cookies, chips…basically any guilty snack food you could think of. The premise is that since you’re only eating 100 calories, the snack is healthy. I’m sorry, folks, but eating 100 calories of junk food is not a healthy snack. You are better off avoiding the junk completely and eating something wholesome. 5. Use The ‘Is It Real’ Test. As a rule of thumb, you should use the “Is it real?” test when deciding if a snack is worth eating. The test goes like this: If your snack can go bad, then it’s good for you. If your snack can’t go bad, then it’s bad for you. 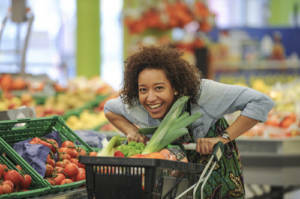 The idea is to eat fresh, real foods that are unprocessed and wholesome. These real foods are naturally filled with fiber, vitamins, and minerals and will assist you in achieving your fitness goals. 6. Avoid Refined Carbohydrates. Processed and refined carbohydrates make up the bulk of popular snack foods. 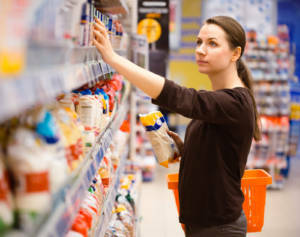 Take a look around the snack aisle at the grocery store and you will see that most packaged snacks are made with grains. When your goal is to lose weight and increase lean muscle then eating refined grains will work against you. If you only take one tip away from this article, let it be to remove grain-based snacks from your life. This single change could very well recharge your weight loss. 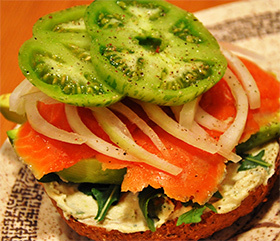 Now you know how to snack in a healthy way that will not derail your fitness goals. Remember that exercise plays a huge part in getting in shape and losing weight. Call or email me today to get started on a results-driven exercise program! I look forward to hearing from you! Seasonal Berries with &fraq14; cup of Almonds. 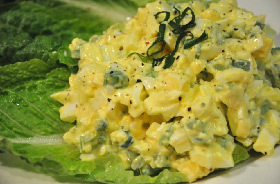 A scoop of Creamy Egg Salad. See recipe below. 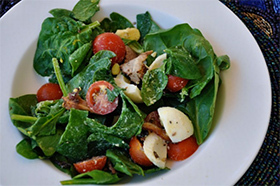 Combine the spinach, eggs, bacon and tomatoes in a large bowl. In a small bowl whisk the olive oil, lime juice and pepper. Pour the dressing over the salad, mix and serve. Today I’m going to let you in on a little secret…it’s not hard to get and stay fit. And no, it’s not about hard work and deprivation. When you were a child your parents set boundaries around you. They were the authority on what was or wasn’t acceptable behavior. You had to complete your chores before dinner. Then you had to eat all your vegetables before dessert. You had to finish your homework before going out to play. If you failed to comply with these boundaries then you knew that there would be consequences. As an adult you, and only you, are the authority on what is or isn’t acceptable behavior. You are in the position to set boundaries around yourself. These boundaries serve as a framework of order around you – a rock of support in an otherwise chaotic world. With self-imposed boundaries you can assure your success in anything…specifically with weight loss. Your fitness boundaries have to be self-imposed—no one is going to do it for you. Don’t look at this as a bad thing! Self-imposed boundaries are self-empowering. Let’s face it, you’ve been living life without fitness boundaries. You eat whatever you want, whenever you want it. And you use any excuse to avoid exercise. You indulge whenever it feels good. It’s time to introduce boundaries back into your life. These boundaries are the key to unleashing your ideal fit and healthy body. If you were to be perfectly honest with me, you could list off the foods that are unhealthy and fattening. So why are you still eating them? You know that refined, fried, processed and sugary foods are not good for you. Place boundaries around what you will allow yourself to eat. 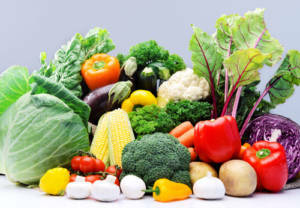 Acceptable food items include whole foods, vegetables, fruits, whole grains, and lean meats. I know that you’re not an Olympic athlete, but that doesn’t mean that you can simply pass on exercise. By now you are well aware of the host of benefits that exercise provides. With regular exercise you’ll look great, feel amazing and have more energy than ever. Place boundaries around how often you must exercise. Choose exercise that is challenging and fun – don’t be afraid to try new activities that improve your strength and endurance. Let’s face it, we live in a world where indulging has become the norm, rather than the exception. When you live life without fitness boundaries, everyday is an opportunity to indulge. These indulgences all add up quickly, causing your clothes to become tight and your energy levels to drop. Place boundaries around when you can indulge. You’ll find that by limiting your indulgences you’ll end up enjoying them even more. Sit down and take a long, hard look at your lifestyle. 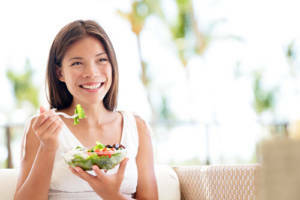 Are you eating as healthy as you could be? Do you exercise 3-5 times each week? Are you indulging too often? When will I allow myself to indulge? (Don’t go overboard here, especially if you need to lose weight. Enjoy a treat a couple times each month, and do so guilt-free knowing that you’ve maintained healthy food boundaries the rest of the time. Remember that self-imposed boundaries are self-empowering. Fitness boundaries put your fitness results on autopilot. If you know what constitutes an acceptable meal, then choosing what to eat just got a whole lot easier. If you’re committed to exercising 3 times a week, soon it becomes second nature. Need help setting up your fitness boundaries? I am here to help – call or email me now! Do you have a weight loss goal that you’re working toward? Post it on Facebook or Instagram and get instant accountability from friends and family. Be specific with your post. Include the exact amount that you aim to lose and the date that you’ll lose it by. You may be surprised how encouraging and supportive your friends will be – it may be exactly the motivating boost that you need to achieve your goal. Spread each piece of the bun with 1 Tablespoon of hummus. Top each with half the arugula, avocado, salmon, onions, and tomato. Season with freshly ground sea salt and pepper. Nutritional Analysis: One serving equals: 267 calories, 9g fat, 25g carbohydrate, 6g fiber, and 22g protein. Sadly, there aren’t actually foods that burn more calories than they contain. But that doesn’t mean you shouldn’t keep your eyes open for foods that offer very low amounts of calories that will do your diet good. So ready to hunt down some of the best low-calorie foods available? Here are 10 of them. While it’s great to fill your diet with many high-fiber, low-calorie vegetables, DON’T FORGET THE PROTEIN! Protein, in the form of lean meats, eggs and fish, is a vital part of your diet that allows you to create a lean, strong body. Each of your meals should contain a generous serving of lean protein, in addition to all those tasty veggies! 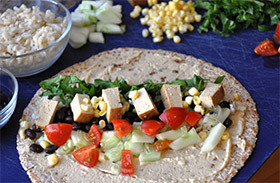 Here is a simple, wholesome meal that is ready in 30 minutes – perfect for busy weekday dinners. There’s no reason to hit the take-out line when you have this quick and delicious recipe on hand. Eating simple, wholesome meals like this and exercising regularly will get you to your goal weight. Cook the quinoa and set aside. Place a large saucepan over medium heat. Add the oil, onion and garlic. Sauté for about 3 minutes. Add the bell peppers, corn and asparagus, cook until the vegetables are tender. Add the chicken and beans, cook for another 10 minutes, adding the rest of the ingredients. 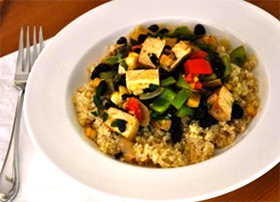 Place a serving of quinoa on each plate and top it with the vegetable mix. Nutritional Analysis: One serving equals: 293 calories, 5g fat, 32g carbohydrate, 4.6g fiber, and 29.4g protein. 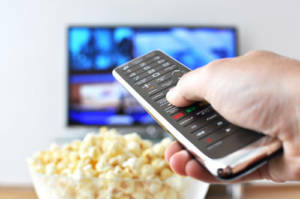 Ads come at you from magazine pages, T.V. commercials, on websites and billboards, each boasting about cheap, convenient and tasty ways to cure your hunger. First, you need to block out the blizzard of food marketing around you. Remember that advertisers want your money, so they don’t stop to consider if the food they promote will expand your waist – that’s your job. So, it’s safe to say that, with few exceptions, any food that you see marketed should be avoided. 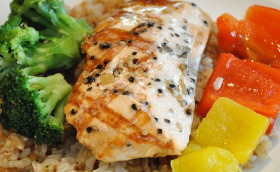 When was the last time you saw an ad for grilled white fish, steamed broccoli and a side of brown rice? While healthy eating is a huge factor in achieving your ideal weight, exercise is the other half of the equation. So your exercise routine should be challenging and should be done on a regular basis. How much fiber do you eat each day? 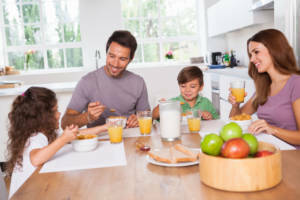 Grab a pen and paper and tally it up: Beans, one half cup (7); Vegetables, one cup (4); Salad, one cup (2); Fruit, one piece (3); Fruit juice, one cup (1); White bread (1); Whole grain bread (2); White rice, one cup (1); Brown rice, one cup (3); Intact Oatmeal, one cup (4); Meat, poultry or fish (0); Eggs or dairy (0); Sodas or water (0). If you scored less than 20: You need more fiber in your diet. Boosting your fiber will control your appetite and cut your risk for many other health problems. If you scored 20-39: You consume more fiber than most people, but adding more fiber to your diet will continue to make foods more satisfying and cut your calorie intake. If you scored 40 or more: Congratulations, you are getting plenty of healthy fiber in your diet. An added bonus for you is a reduced risk of cancer, heart disease, diabetes and digestive problems. This recipe pulls tantalizing flavor from rosemary, garlic and pepper. 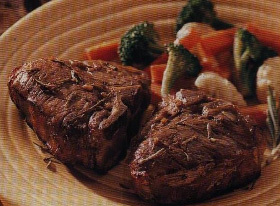 Broiling is a healthy cooking method since it doesn’t require that you add fat. Remember to trim any visible fat from the meat before cooking. Heat broiler. Generously pierce lamb chops with fork and place in shallow dish then add wine. Let stand at room temperature for 15 minutes to marinate. In a small bowl combine Worcestershire sauce, rosemary and garlic; mix well then set aside. Remove lamb from marinade; discard marinade. Place lamb on broiler pan then spoon half of sauce mixture evenly over chops; sprinkle generously with pepper. Broil 4 to 6 inches from heat for 4 to 5 minutes or until browned. Turn chops. Spoon remaining sauce over lamb and sprinkle with pepper. Cook an additional 4 to 5 minutes or to desired doneness then sprinkle lamb with salt. Nutritional Analysis: One serving equals: 190 calories, 9g fat, 1g carbohydrate, 0g fiber, and 26g protein. The best kind of fat loss is steady fat loss. 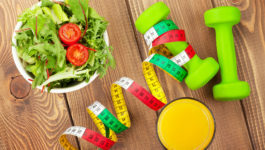 And while a slow-and-steady approach to weight loss will ensure that you keep the weight off for good, I have a few tricks to help you burn fat as fast as possible. Rapid Fat Loss Habit #1: Bottoms Up! It’s not always easy to get to the water cooler or the sink. But if you’re going to shred pounds, you’re going to have to keep a tall glass of water nearby. There are many perks to drinking down plenty of water. Doing this helps you feel fuller, which keeps you from overeating or thinking you’re hungry when you’re actually thirsty. Drinking water instead of other drinks also keeps you from ingesting additional, unnecessary, and worthless calories. And finally, if your body is going to perform at its peak, it needs to be well hydrated. Drinking plenty of water helps all your bodily functions operate well, which prevents you from holding onto water weight and suffering avoid constipation, while also giving you what you need to push through the final stages of a difficult workout. Like flying by the seat of your pants? Then you’re going to struggle to shave off pounds in a fast or even slow manner. Burning fat fast requires you to be disciplined. The beginning of discipline is a good plan. 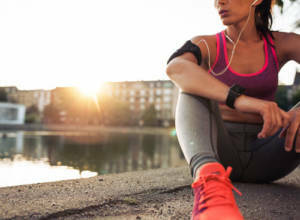 Know when you’re going to the gym, how many calories you’re going to eat and what foods the calories will come from, and how you are going to avoid giving in to that tempting piece of chocolate cake. Once you have your plan, you’ve got to do the hard part: stick with it. If you’re willing to do this, your fat stores will burn away in no time. Maintaining a steady pace on the treadmill will help you improve your overall health, but it isn’t the best tool for burning fat quickly. To speed up your fat-burning process, you’ll want to add some HIIT into your exercise regimen. During a HIIT (high-intensity interval training) workout, you mingle bursts of intense exercise with lighter exercise. This could involve running, cycling, swimming, or other aerobic exercises. Whatever exercise you choose to do, do it hard for 30 seconds, take it easy for 60 to 90 seconds, and then go full force again for 30 seconds, repeating the cycle for 30 minutes. You’ll be exhausted when it’s all said and done, a sure sign that you’re burning fat! Think you can burn fat fast by doing nothing but aerobic exercises? You can. But you can do it faster and better by mixing in some weight-lifting sessions. In fact, if you don’t add weight lifting into your regular routine, you may begin to lose muscle. The scale may go down, but if you’re dropping muscle mass, you’re setting yourself up for disaster. When shooting to burn off fat, nothing helps more than extra muscle. Added muscle helps you feel better and perform tasks of daily living with greater ease, while improving your metabolism and ultimately helping you burn more of that pesky fat! You know that what you put in your mouth is either going to fuel you to get through the day or simply add some pudgy inches to your waistline. So choose wisely! Fresh fruits, vegetables, lean proteins, and healthy fats all give you the upper hand on burning fat. But it’s not just the foods you eat. It’s how you eat them. Chew slowly, use a smaller plate, and leave the food dishes in the kitchen. When you finished your plate of food, relax and give your brain time to figure out that your stomach is full. Then take the cue and stop eating. These small steps may seem significant, but they will boost your fat-burning potential exponentially. 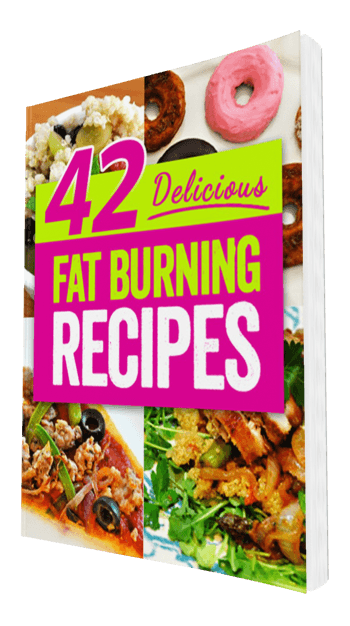 I’d love to give you more of my expert, fat burning tips – call or email today and let’s get you started on my best exercise program that will get you to your ideal, toned body faster than you thought possible. I look forward to hearing from you! Focusing on one goal at a time is the most powerful way to achieve it. Taking on more than one goal at a time spreads your time and energy out, making it difficult to accomplish anything. If you have more than one goal on your mind, write them all down and then go after them one and a time until they are all completed. Nutritional Analysis: One serving equals: 392 calories, 19g fat, 2.6g carbohydrate, .2g fiber, and 38g protein. Motivate your friends, family and co-workers! Use the “refer a friend” link below to forward this newsletter and subscribe your friends. You’ll skip the drive thru line on your way to work then you’ll refuse to get fast food with co-workers at lunch. You’ll boycott the vending machine in the mid-afternoon and you won’t even think about having dessert after dinner. Let’s face it, we live in a world where food temptations are everywhere…which leads to cravings, which leads to eating things that you shouldn’t, until it leads to pounds gained. Again. And again. And again. Until you’re so fed up with your body that you don’t even know where to begin to get yourself back on track. Stores display the most tantalizing junk food items right where you could easily reach them. TV commercials for greasy, fattening foods portray them so scrumptiously that you literally salivate. Sugary snack items have full-page, glossy pictures in your favorite magazines. And as if all of these weren’t enough, the people in your daily life are another (constant) source of food temptation. To make matters worse, you’ve been conditioned since childhood to have a positive association with the act of indulging in your cravings. So you use food as a reward. You use food as a source of emotional comfort. You use food as a way to relieve stress. And quickly these associations and uses of food become habit. Thus, a habit that’s not easily broken. Food cravings don’t need to have the upper hand on you anymore. So here’s how you can fight back using your most powerful asset: your brain. Try This Powerful Mind Exercise: Imagine that you are once peacefully floating down a river on a raft. The sun is shining, birds are chirping, and you are having a fun, relaxing time. You feel wonderful about the river because it’s making you feel happy. Now change perspectives for a moment. You are now in a plane flying over the river and the raft. Instantly our eye is drawn to an enormous rocky waterfall. Then you look back to the person floating on the raft, having a wonderful time, headed straight for the treacherous falls. Use the technique above consistently and you will soon find that healthy, wholesome foods are your favorite. And craving the wrong foods will be a thing of your past. So call or email me today and I’ll get you started on a fitness program that will change your life and your body forever! So you’ve decided to ditch your old eating habits and to embrace a new diet of lean proteins and lots of veggies. You surely know that your new eating strategy will lead to many pounds lost…but you can’t get your old favorite foods out of your mind. When you spend time dwelling on the burgers and pizzas that you loved, you’re surely setting yourself up for a relapse. Thus, the best way to stick with your new healthy eating habits is to focus on all the new foods that you now enjoy. And so, get a new cookbook or visit websites that present new and tasty ways for preparing healthy food. 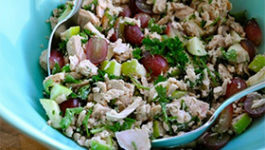 Find new favorite foods to love-foods that are certainly healthy and guilt free. 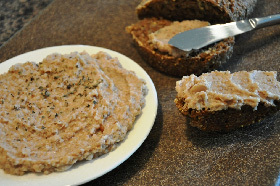 Use this white bean hummus instead of creamy dressings or cheese in your sandwich. Since hummus is filled with healthy protein and fiber. Throw everything into the food processor then blend until smooth and creamy. Then spread onto bread or use as a dip for cut veggies. Nutritional Analysis: One serving equals: 124 calories, 1.6g fat, 20g carbohydrate, 5.5g fiber, and 7g protein.